If a school classroom or university lecture hall has poor acoustics, the teaching/learning environment can become a seriously stressful, sonic battleground for both teachers and children. Having to shout above a noisy classroom of 30+ students everyday can lead to daily distress, increased work pressures and in some severe cases, tinnitus due to the high reverberation levels. Teachers cannot be expected to teach in a positive manner and children cannot be expected to learn and absorb information in these kinds of exhausting surroundings. Bad classroom acoustics will have a negative impact on behaviour, attention, attitude, concentration, reading and writing. Getting the acoustic treatment for classrooms right in schools is imperitive for a productive and positive learning environment. 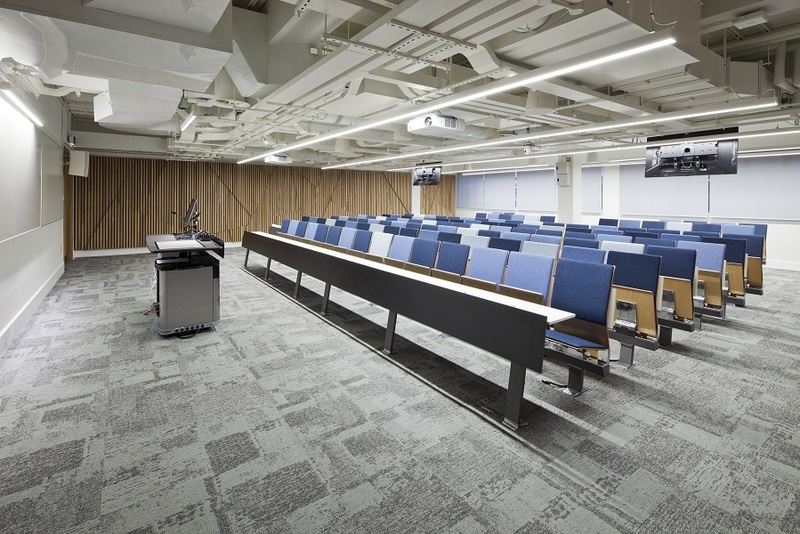 Fortunately there is a solution for poor classroom acoustics with our SonaSpray reverberation control range, which has finishes from smooth, flat to textured. This range enables the perfect control of noise which will pass the school and classroom acoustics BB93 regulation test first time guaranteed. SonaSpray is perfect for both retrofit solutions to an existing school acoustics issue and new build projects. Oscar Acoustics product range includes economical, guaranteed acoustic solutions based upon fire rated, recycled, natural components and will offer your classrooms the calming acoustic ambience that is so detrimental to teaching and learning. Why use SonaSpray for classroom acoustics? "Following the recent installation of 3,000m2 of SonaSpray K-13 Special to the corridors, classroom and activity hall ceilings plus main sports hall at St. Pauls Way Community School, Bouygues UK Ltd would like to thank Oscar Acoustics for their hard work in delivering a high standard of work within our programme, for which speed of installation was critical. Your site teams should be commended on the professional manner in which they conduct themselves; we found them to be extremely helpful and knowledgeable whilst keeping comprehensive day to day records of events. They kept a 100% health & safety record for the duration of the project, passing unannounced inspections from an independent Health & Safety company organised by yourselves. We are delighted with the appearance of the finished SonaSpray K-13 Special product and the performance that it provides and so too is our client. It passed all regulation testing first time..."
For more testimonials from our school and classroom acoustic projects click here. 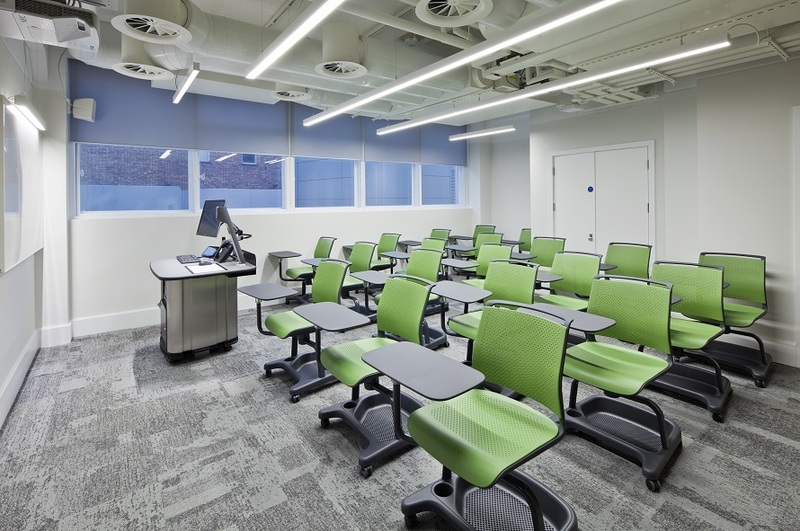 Working with the University’s Design Team, Structure Tone helped develop a scheme to refurbish the ground floor and basement and also renovate Level 10 at Torrington Place at University College London (UCL). 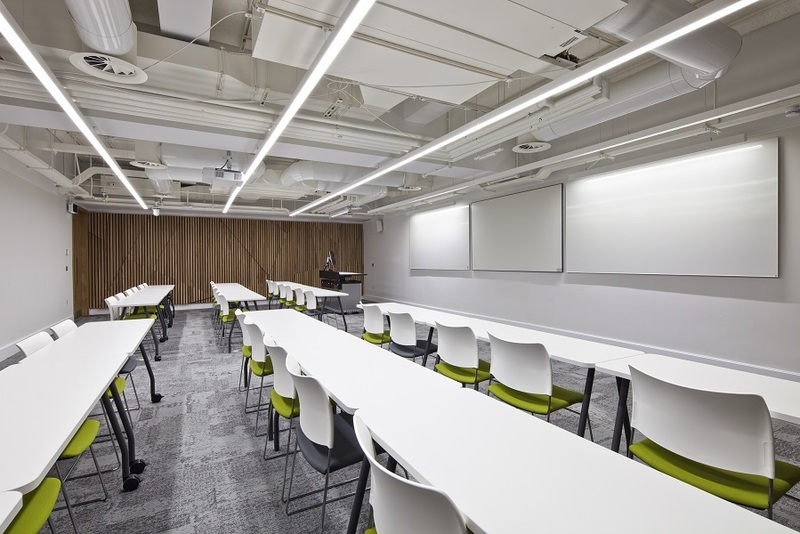 Oscar Acoustics were responsible for the supply and installation of SonaSpray FC in Arctic White throughout the classrooms and lecture theatres. Our range of acoustic spray finishes and colours offered the perfect acoustic solution with SonaSpray FC, negating the need for any further decoration thus reducing programme time with fast installation. The entire project was completed during the summer holidays so the University could resume lectures as usual without any disruption. For more details on our School and Classroom Acoustics products and installations click here.